Thanksgiving Day is a day of rest and time to reflect on our many blessings. I offer some food for thought on seven reasons to give thanks. May your day be full of joy as you contemplate the many reasons for an attitude of gratitude in your life! The seven reasons (health, home, family, friendships, work, worship, and country), and these are not in any particular order of importance, are listed below with some reasons why they should be worthy of your gratitude. Home – Home is where the heart is! Your home is your haven. It is where you can rest, relax, enjoy family and friends, and so much more. Your home is your compass. It is the center of your existence. Without a home, you have no focal point from which to proceed. Your home environment helps to shape who you are. If you feel safe at home, you can proceed into the world with confidence. If your home provides shelter and a warm and loving atmosphere, you can thrive in whatever you do. I hope you can feel gratitude for your home and all that it provides for you. Family – Your family provides the relationships that you need for your existence. No man is an island! Those relationships nurture you through love, affirmation, nurturing, mentoring, and other facets of relationship that are the glue of your being. These core aspects of relationship form who you are and prepare you for life outside of the home, in the work place and in society in general. May you find love, peace, and joy in your home and in your family and may you recognize them through gratitude in the way that you respond in your family relationships. Friendships – Your friendships are the “icing on the cake” of interacting in the world. They are an added bond that brings you to a fuller realization of your worth. Positive interactions in these relationships help to propel you to generosity of heart that is so needed in the world. May your friendships bring you to the awareness of gratitude for those relationships in your life. Work – While work can be hard, and at times can be a source of stress, work is actually a good thing. It provides for financial security. Work also brings structure to your life and satisfaction in a job well done and adds dignity and a sense of self worth. Just ask anyone who has lost their job and they will talk about depression, anxiety, and loss of self esteem. Through your work you not only help yourself and your dependents, you also provide goods and services that are needed in your community. Your work benefits others and this also brings wholeness to your life. So why wouldn’t you be grateful for employment? Worship – We live in a country where we have freedom of religion! That is our sacred right! We were created with the instinct and attraction to the Divine so we can offer gratitude that we recognize this innate need and that we have the freedom to express that part of our being. Thank You, Lord God Almighty! Country – We live in the greatest country in the world. We have freedom, security, wealth, and justice. While our county is not perfect, it was founded on sound principles and we are blessed to have a Constitution that affirms that we are endowed with inalienable rights. Gratitude is in order here! Feel free to post your reasons below for gratitude this Thanksgiving Day! 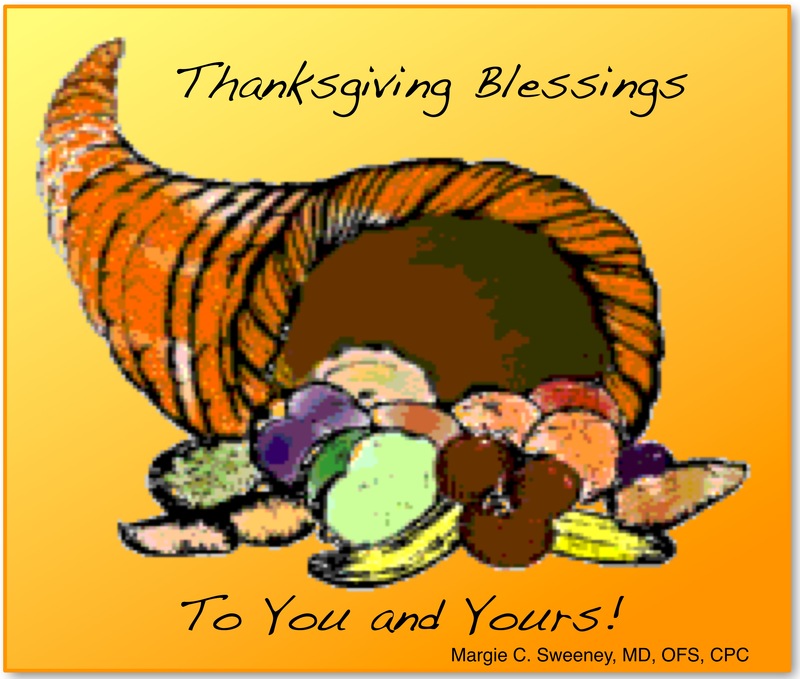 You are currently browsing the Pearls of Wisdom Consulting Services blog archives for November, 2013.